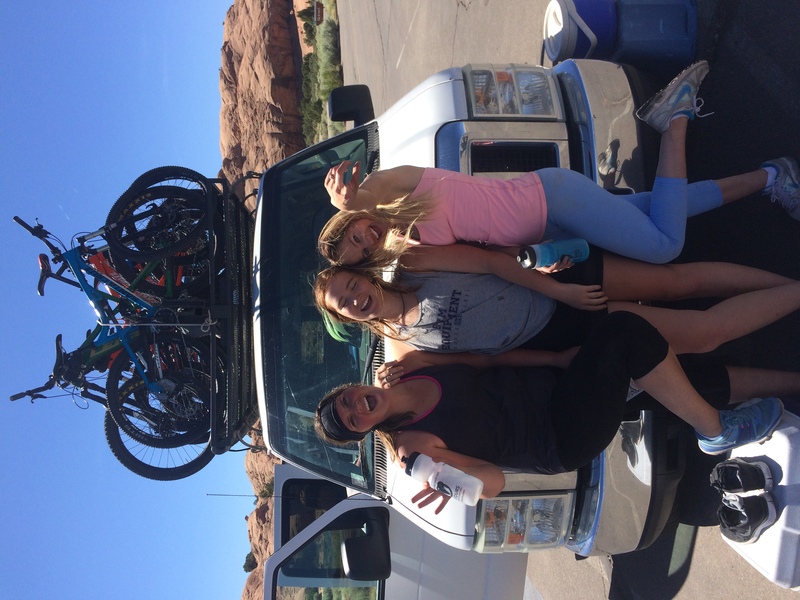 Today I bring to you our adventures to Moab last weekend! It was a blast! 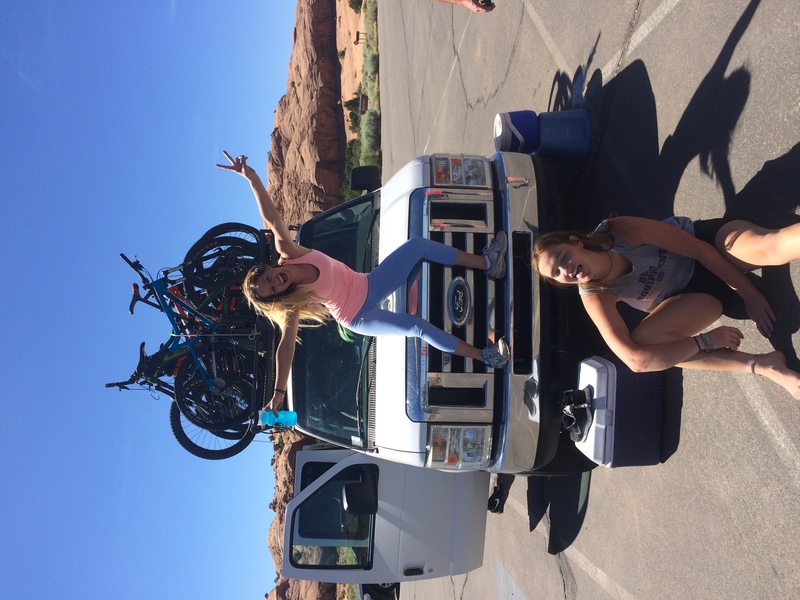 As you know Jordan and I have gotten into Mountain biking, it seems that is all we do these days. It is so much fun! 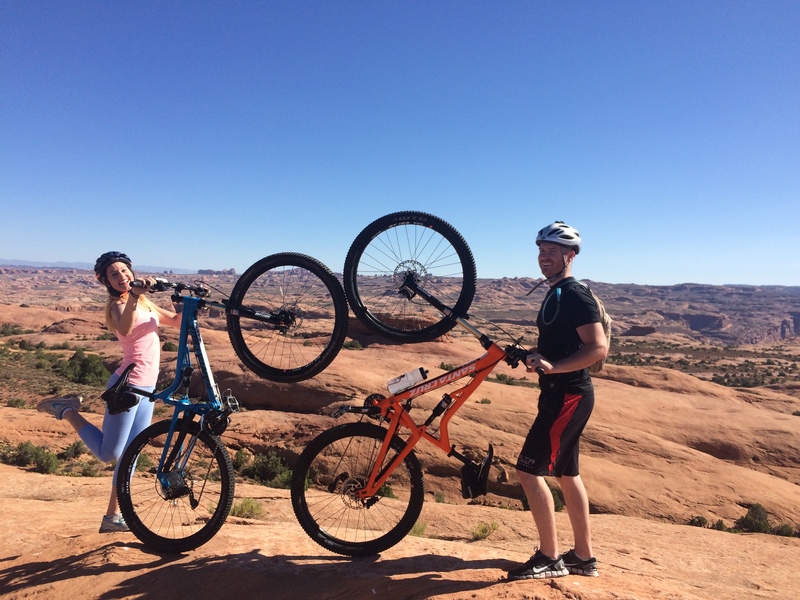 Well there is this pretty intense trail in Moab called Slick Rock. 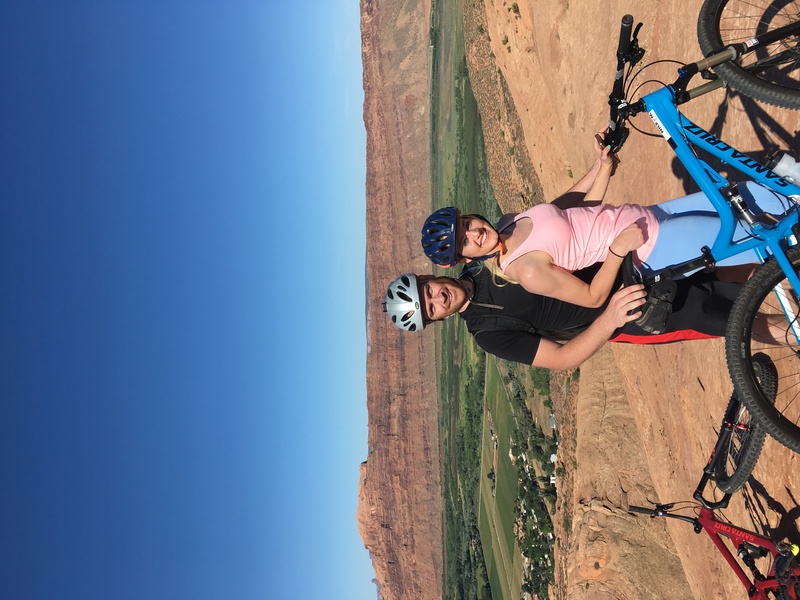 People from all over the world travel to small little Moab Utah just to bike this trail. Apparently every biker has to do this trail at some time in their life…. so we thought now would be a good time. It is not for beginners so I had no business being on the trail haha but I am quite pleased with how well I did, I only crashed once. It was a huge crash and pretty stupid on my end haha I got a little too confident haha. There was this huge jump and I thought… hmmm why not!? and went for it full speed, I have never hit a jump before and have no idea how to handle it so needless to say my tire hit it all wrong and I flew over my handle bars and skidded across the jagged rocky cliffs for what seemed like a mile haha my body is torn, and bruised hahaha but I am recovered and thank the heavens that I didn’t get any bad injuries because I totally should have! But I would totally do this trail again, it was so fun and challenging not to mention the amazing views!! Biking is such a fun way to bond with Jordan, I love how he makes me feel invincible he never questions whether or not I can keep up, if I am nervous about a trail he has the power to give me so much confidence. It is one of the many reasons why I fell in love with him, he never doubts me, he makes me feel like I can accomplish anything! 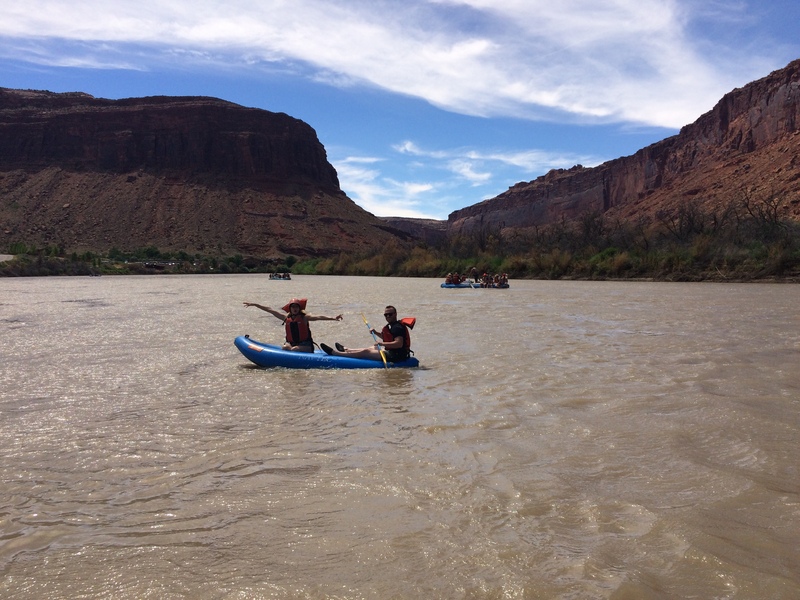 After we biked we went white water rafting and then hiked around horse shoe bend it was SO gorgeous!! We got to do this whole trip with our entire family, it’s nice to live so close to family and be able to bond with them every weekend. I love how everyone in our family never wants to sit on the sidelines, if one person wants to explore or go on adventure the WHOLE family comes along. Which I absolutely love, the more the merrier and it makes making memories so much more fun! I love that we can all share the same memories and share the same stories for eternity. I always joke that I really don’t need friends because my husband, siblings and parents are seriously my best friends haha. So it’s nice that we get to enjoy these memories together. This whole trip I wore comfy and super cute work out clothes. I hate looking sloppy so I love that AIRABELLACTIVE has cute comfy clothes to do fun active things in. Basically everything I wore on this trip was from there. You have to check them out! Hope you all have a lovely day, thanks for stopping by! Talk soon!! Such gorgeous photos! Looks like you had a wonderful trip! Thanks Auna it was a lovely time!! Sharing the same stories will be amazing, and I do believe it was a blast, the pictures are amazing! You look super happy and confident! 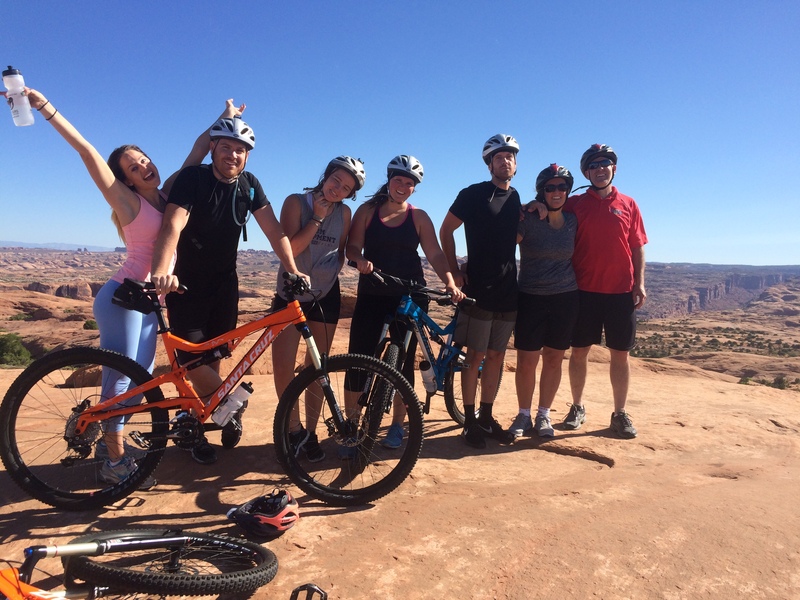 Moab Utah trail seems to be really excellent, since so many people from around the world go there for it! I am into adventures, and would love to try it! You definitely should!! It’s an amazing place!! It was so much fun!! Happy you enjoyed it! That was great tip on how to plump up the lips! yay! so happy you like it!! 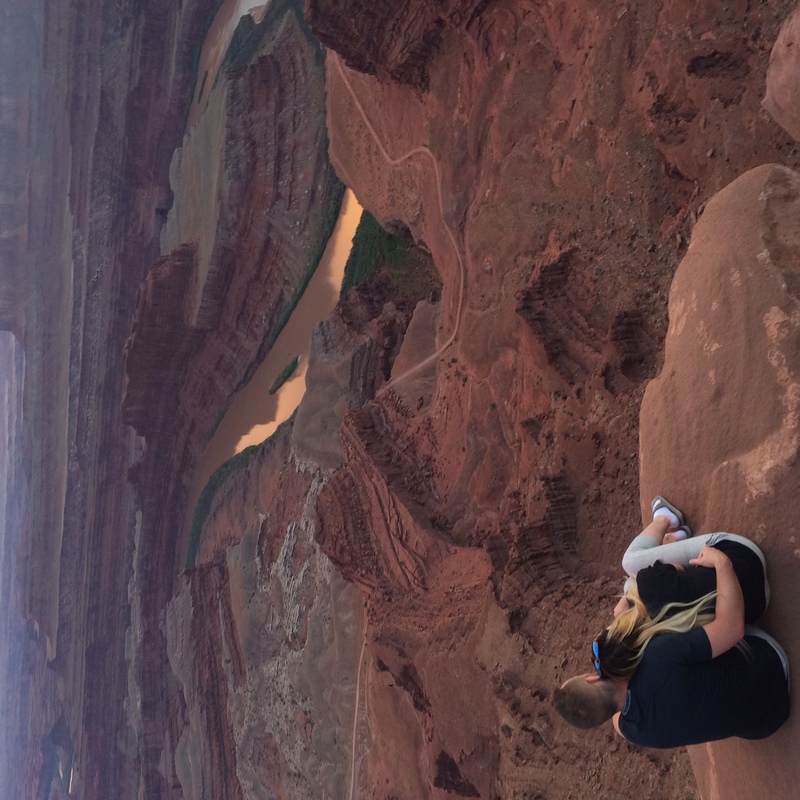 Moab is one of the places I need to visit! This look SO fun! Love all the pics, Jenessa!! Congrats on doing it! Must be an amazing place!